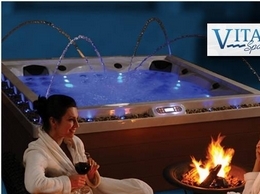 Since 1974, Vita Spas, USA have been right at the forefront of the Hot Tub and hydrotherapy industry in bringing innovation and technology to the mass market. We repair computers in the Phoenix AZ area. We also offer mobile services and anti virus software. We come to your home or office to fix your computers and remove any viruses that you may have. Westcor creates fresh and exciting shopping experiences for consumers that engage and inspire, from Chandler Fashion Center to Kierland Commons, at the center of life in Arizona. Vegas Pawn is a one-of-a-kind, modern day pawn shop located in and licensed by the city of Scottsdale and the State of Arizona to service your pawn broker and shopping needs. Spree! specializes in custom shopping tours to introduce you to the best shopping in the Phoenix Metro area. Sterling Silver American Indian Jewelry made on premises and other navajo, zuni and hopi jewelry. pottery, sand paintings, kachina dolls, zuni carvings, amber from Poland and other gifts. Visit Park Place Mall, the best shopping, dining andentertainment in Tucson, Arizona. Learn about shopping events, sales, stores and restaurants in Tucson. Garage door trouble? Call the garage door guys for valleywide professional repair with 25-Years Experience. For ANY garage door problems you may have.